From haunting acoustic tunes like “Brother” from Alice in Chains, to driving rock songs like “Plush” from the Stone Temple Pilots. The decade of the 90’s produced hundreds of great rock songs. 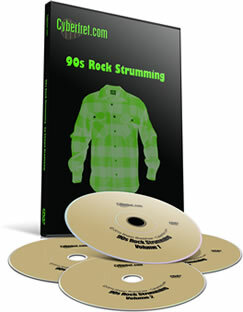 The 90s Rock Strumming course focuses on teaching you 20 great songs from the era. The course includes 5 Hours and 47 Min of detailed guitar instruction covering the chords, strums and special techniques need to play the songs. 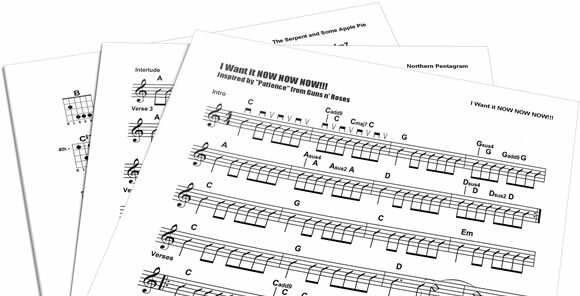 Each song also includes detail sheet music. 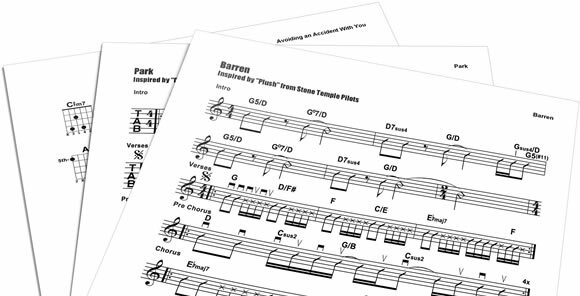 Every song in the “90s Rock Strumming” course includes detailed sheet music with all of the strums and chords charts needed. I know you are going to love the 90s Rock Strumming Course… Guaranteed. In fact if you are not 100% satisfied for any reason…or no reason at all, just contact us within 60 days for a full refund.